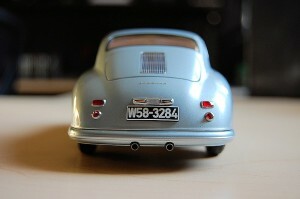 Up today is a review of the AUTOart 1:18 1950 Porsche 356 Coupe “Ferdinand”. 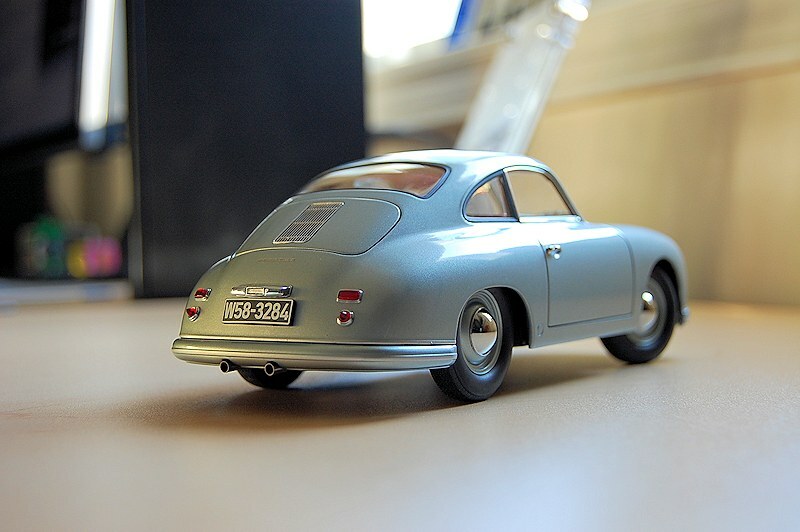 The Porsche 356 built between 1950 and 1955 is also called “356 Pre-A”. 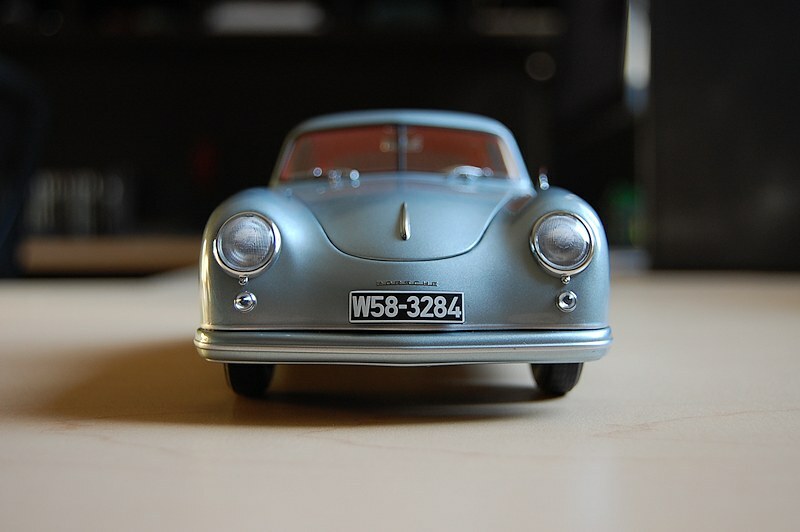 This car was presented to Ferdinand by his son Ferry on his 75th birthday. 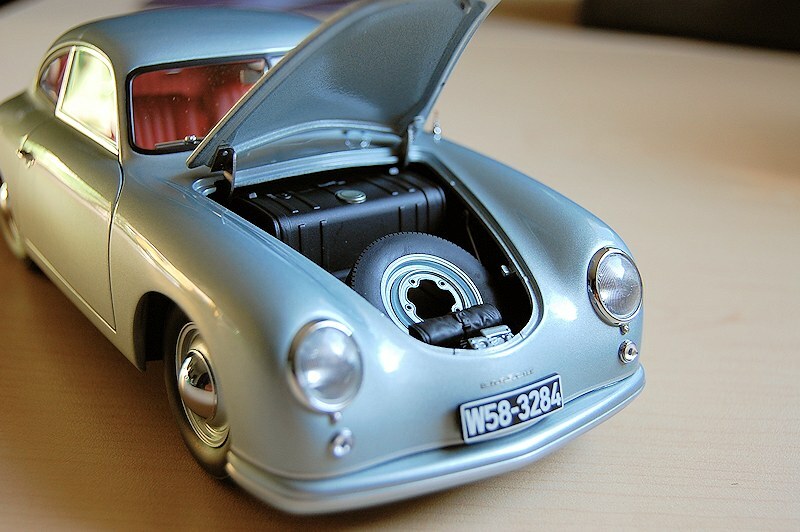 Following his death shortly after, the car was used as a test mule for all new Porsche engines. 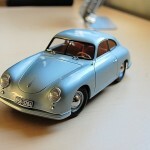 The car in Black sits in the Porsche Museum today. I decided to go forward with the Silver AKA Fish Silver Grey; main reason, I love red interiors. 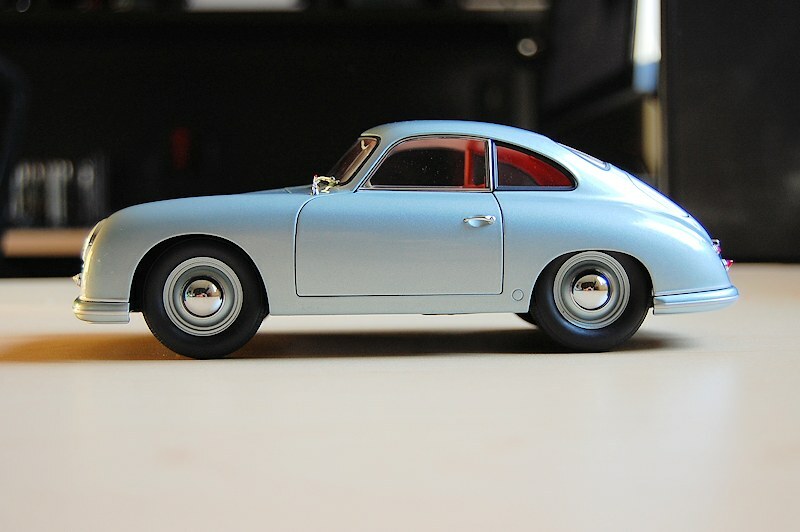 The 356 has that timeless shape and unmistakable design that any Porsche fan would recognize at first glance. 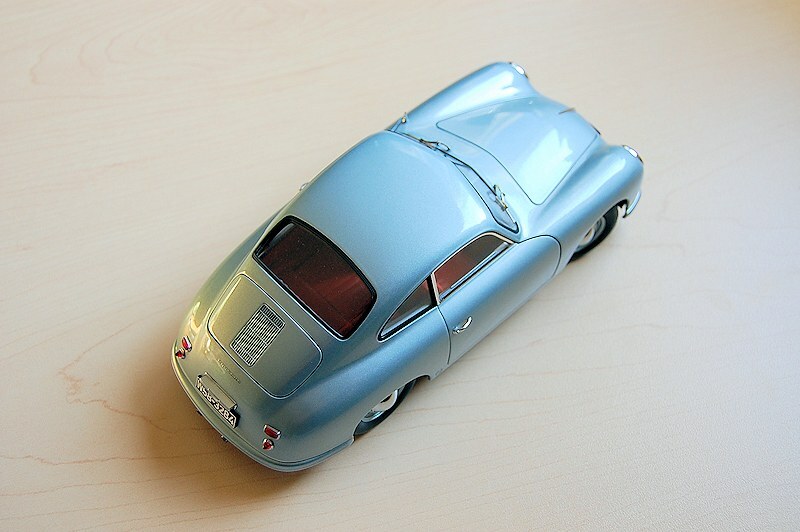 AUTOart captured the overall lines well; this includes the ride height and overall proportions. 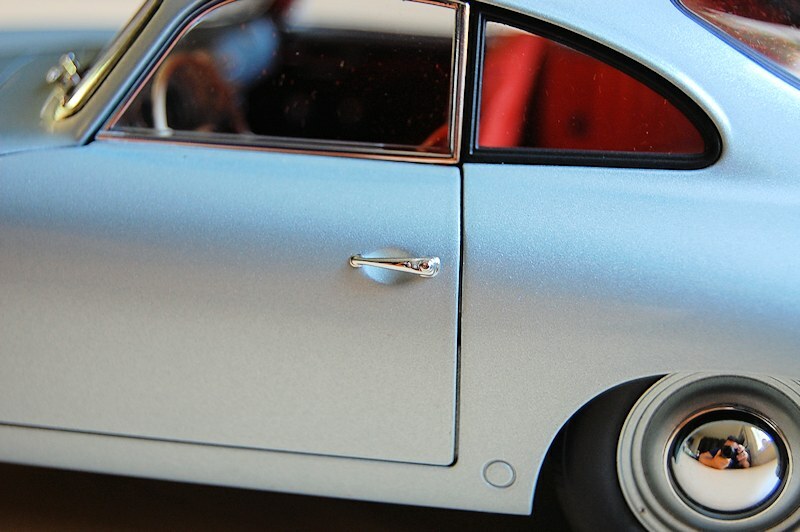 The paint is absolutely gorgeous, flows like liquid and looks like silk. 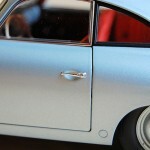 Exterior chrome work is executed well throughout the model too. 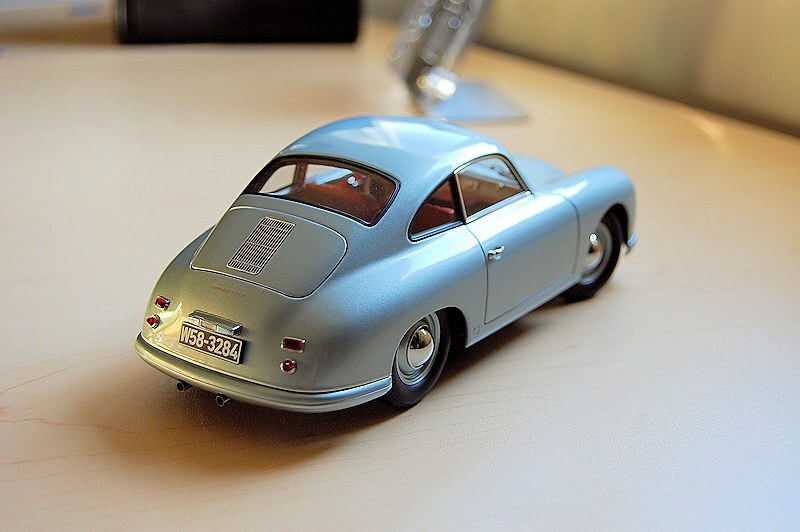 If I had any criticism, it would be the windshield wipers: to me they look a little lack lustre and off scale. Again, I’m just nitpicking here. The front storage compartment features a gas tank, spare tire, and tool bag. 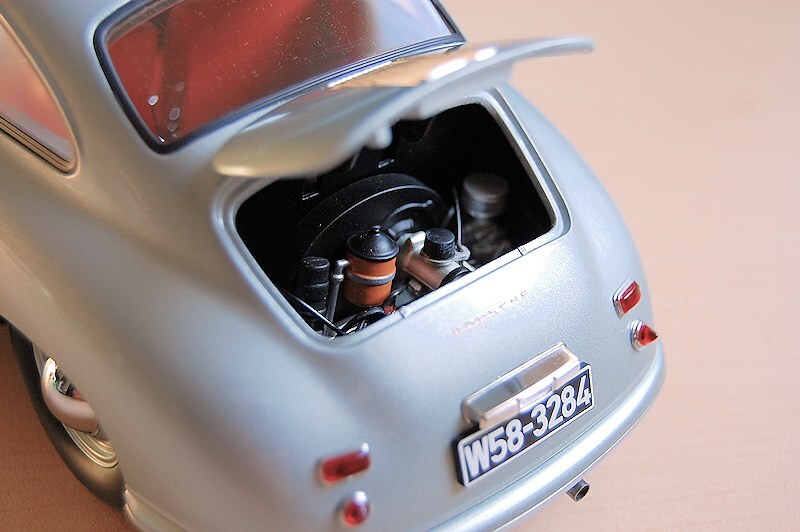 None on these items are removable as found on the recent release Volkswagen Beetle by AUTOart. Execution here is solid. 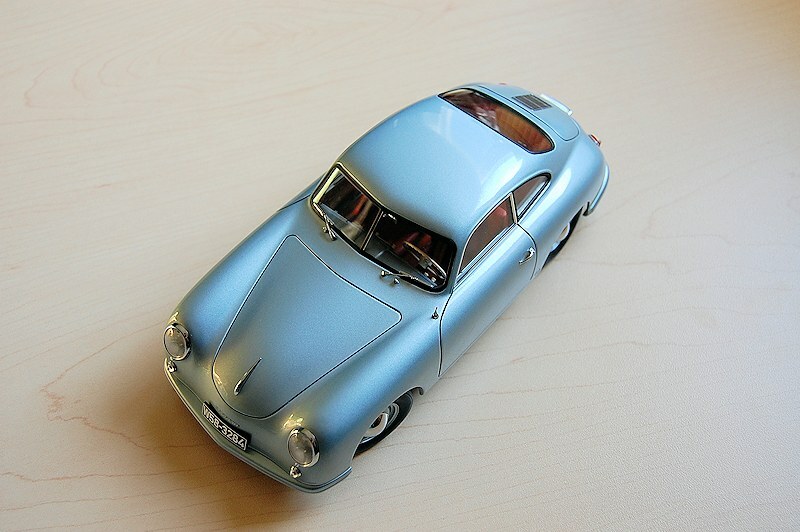 If I had to compare to another manufacturer, this 356 is slightly less detailed than the Schuco 356A. 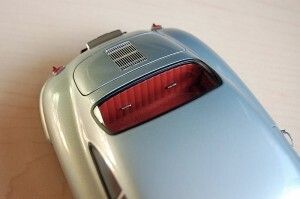 Rear hatch opening features the motor; again detail is very impressive and represents the original nicely. 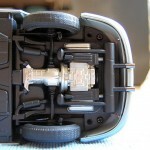 The motor detail continues underneath the car as the photos will highlight. 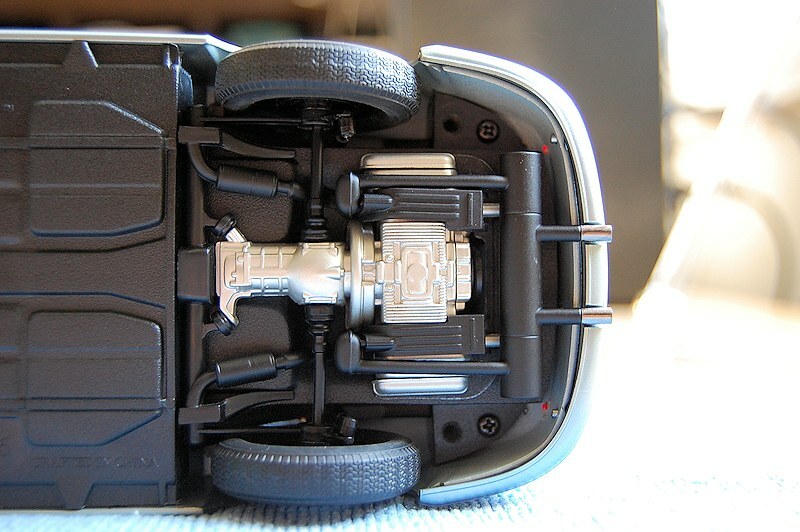 Just above average detail here, which is mostly focused on the motor. 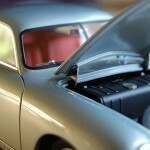 I especially like the muffler, has a nice powder coated look and feel. 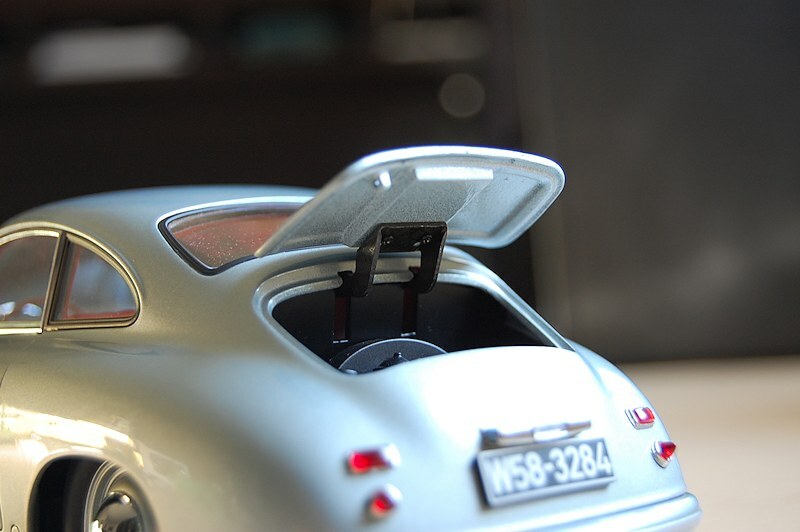 The chrome work on the exhaust tips is excellent, adds another element of realism. The wheels are perfect in my opinion! Scale and overall execution is flawless. 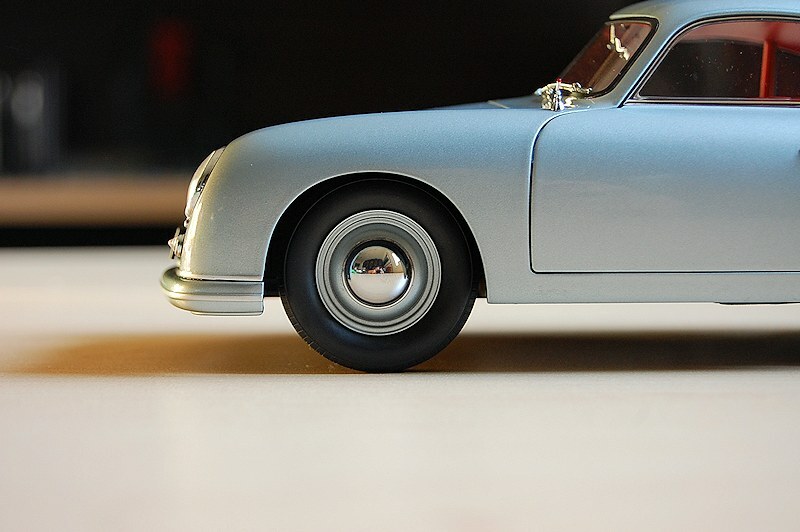 Chrome work on the centre hubcap is very impressive and life like. 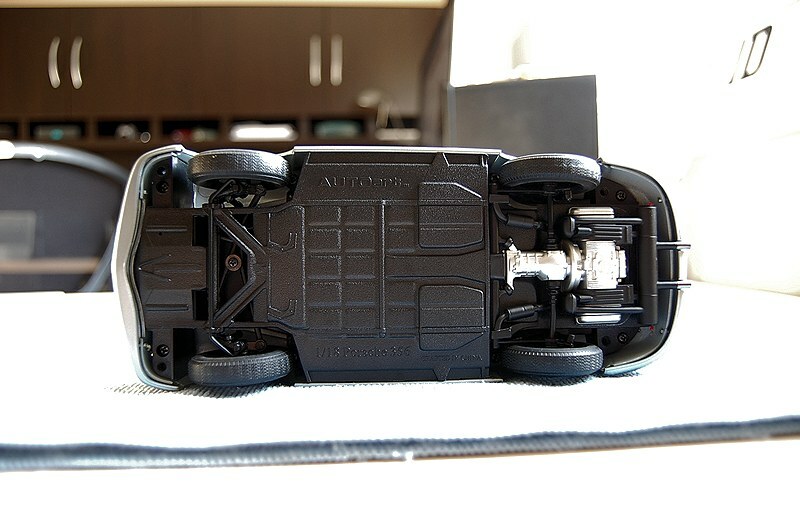 Underneath, the suspension bits are there but not in great detail. This is where the Schuco 356A model again excels over the AUTOart version. 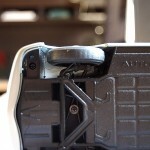 See some photos here. 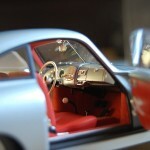 Interior, as with most AUTOart models, excels and the Porsche 356 Coupe “Ferdinand” 1950 doesn’t disappoint. 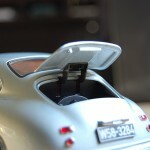 Dash detail is exceptional, all bits seems to mimic the 1:1 fully. 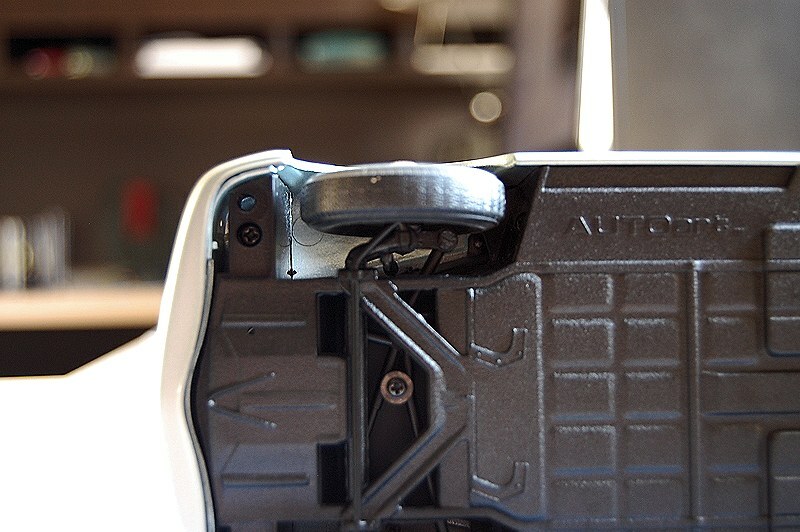 The steering wheel is a work of art; AUTOart did a great job photo-etching the three arms. Thumbs up here! 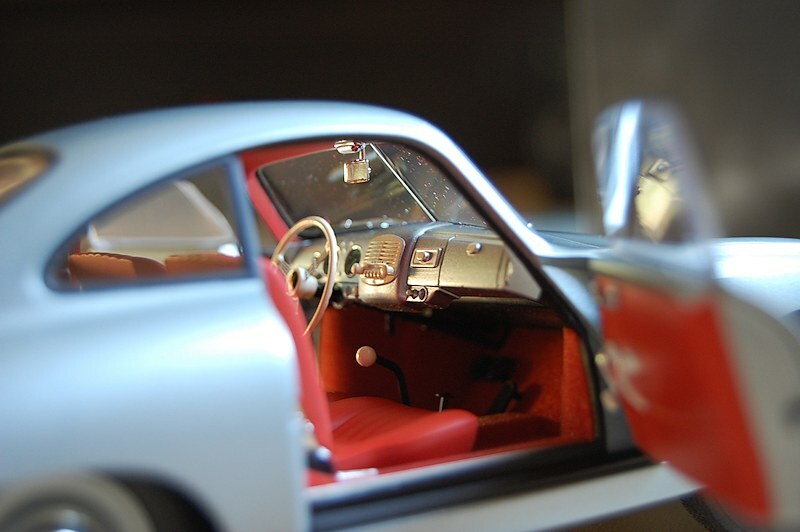 The flow of grey, red, and white work well, I’m sure this colour combination will appeal to most collectors as well. 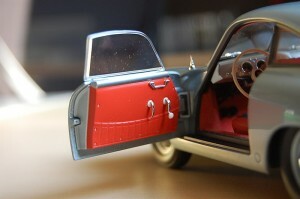 The hinge work on the doors, as well as the front and rear hood work flawlessly, operation is a smooth as butter. 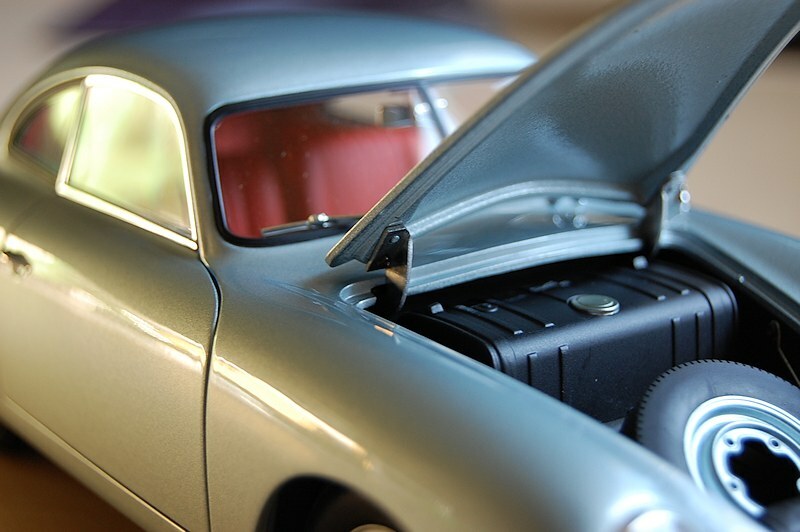 AUTOart has a winner here, there isn’t much to complain about from an execution standpoint. 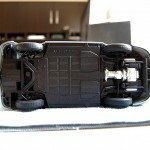 The model is currently available in grey and black; depending on sales, I could see other options being available in the near future. 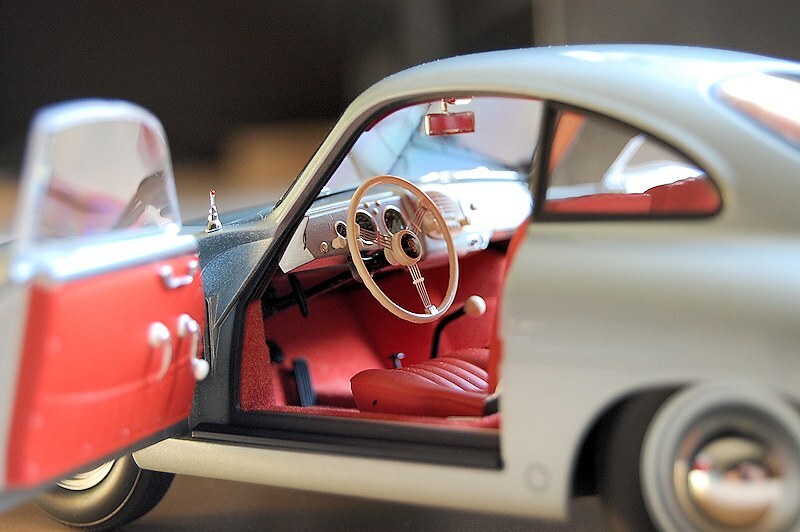 Is the 356 for everyone? 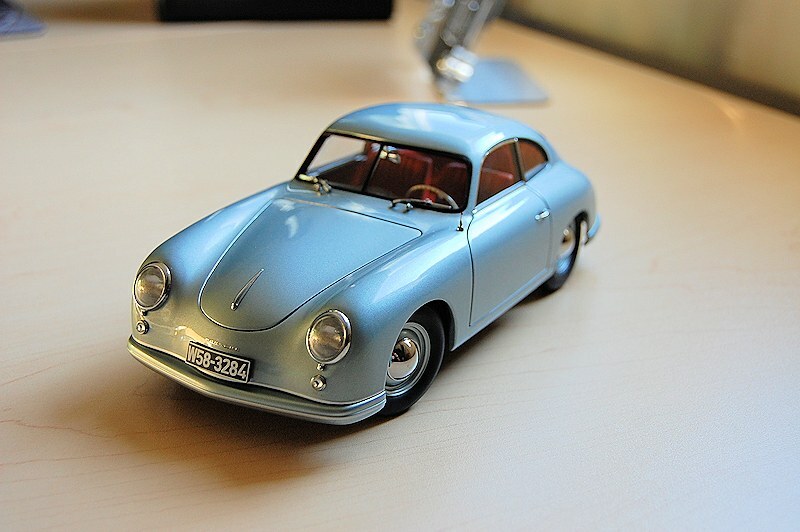 No, but I’m a Porsche fan and for me this is one of those must haves. 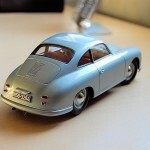 There are other alternatives available and some a great price points too. 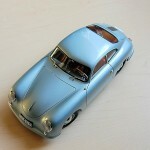 I alluded to the Schuco 356A for example, a beautifully executed model that fans of the 356 should not overlook. Enjoy the pics! 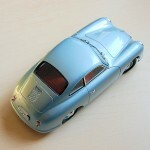 1 Response to "REVIEW: AUTOart Porsche 356 Coupe “Ferdinand” 1950"
what a beautiful Porsche 356!! this beats the all black one hands down imo!! i need to get this! !